Netflix’s landmark political drama “House of Cards” will end its run after an upcoming sixth season, the streaming service said on Monday, one day after series star Kevin Spacey became embroiled in the latest sexual misconduct scandal to rattle Hollywood. Netflix Inc and the show’s production company also issued a joint statement saying they were “deeply troubled” by actor Anthony Rapp’s allegation in a published interview that Spacey in 1986 had made a sexual advance toward Rapp, who was just 14 at the time. Netflix did not give an explicit reason for deciding to air one more season of “House of Cards” before pulling the plug on the Emmy-winning, critically acclaimed show, its first original hit series. 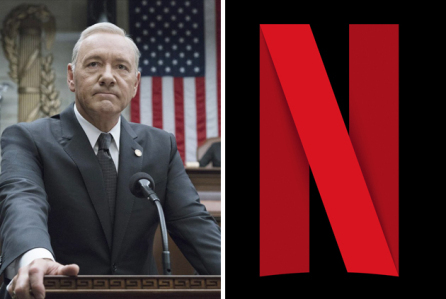 But Netflix spokeswoman Karen Barragan said the decision was made months ago, long before the allegation surfaced against Spacey, 58, a two-time Oscar-winning film star, Tony-winning stage performer and former creative director of London’s famed Old Vic theatre. “In my life, I have had relationships with both men and women. I have loved and had romantic encounters with men throughout my life, and I now choose to live life as a gay man,” Spacey wrote. “He was trying to seduce me,” Rapp told BuzzFeed of the encounter with Spacey. Some on social media expressed anger at Spacey’s conflation of an apology for sexual misconduct and a public acknowledgement of being gay. Hollywood and some top US companies have been rocked in recent weeks by allegations from scores of women that executives had sexually harassed or assaulted them. Weinstein has since been fired as chief executive of The Weinstein Company, which he co-founded and which has been one of Hollywood’s most influential forces since its launch in October 2005.